On 14th and 16th April, two strong earthquakes (measuring magnitude-6.4 and 7.3 respectively) struck Kumamoto Prefecture, located on the island of Kyushu, Japan. 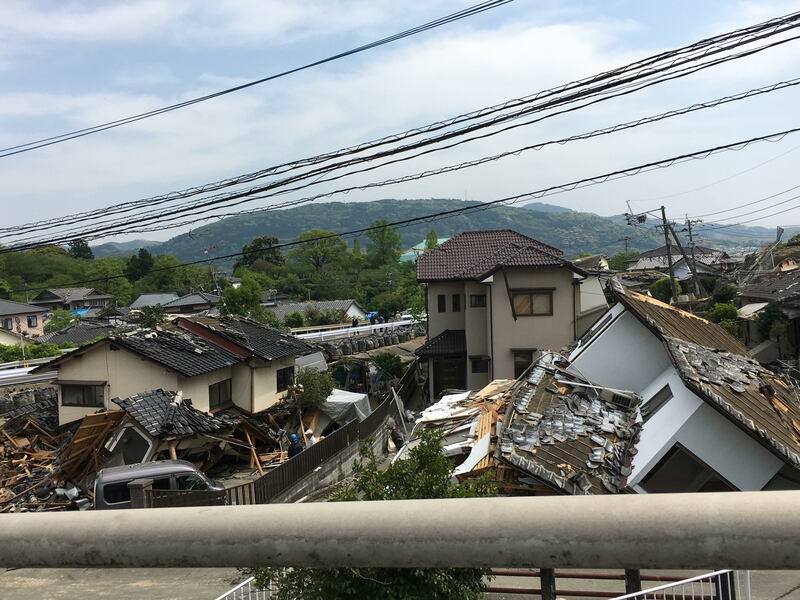 The earthquakes are the biggest to have hit Japan since the 2011 Great East Japan Earthquake and Tsunami, and over 750 aftershocks have been recorded since. These tremors have caused severe loss of life, resulted in thousands of injuries, and damaged critical infrastructure across the area. Over 250,000 people sought refuge or were ordered to evacuate their homes, and more than 700 emergency shelters have been activated in and around the area. Many people continue to stay in shelters or sleep in their cars due to the threat of ongoing aftershocks. There are growing concerns over negative health impacts and sickness in emergency shelters, especially for the elderly and other vulnerable evacuees. Having spent the past few days in emergency shelters and government offices in the affected areas, I would like to share some information from the ground which will hopefully shed some light on the situation, especially as international media attention on this disaster has faded significantly in recent days. One week has passed since the first major earthquake struck Kumamoto. – There are still 100,000+ evacuees in 658 shelters, and many evacuees are sleeping in cars as they are afraid to sleep indoors. Several car parks are full at night of people sleeping in cars. Many people leave the shelters during the day, and come back at night due to ongoing tremors. One shelter I visited in the Mashiki area is serving 1,000+ evacuees with very limited space. – Over 750 aftershocks have been recorded since the first major quake on 14th April. Japan Meteorological Agency (JMA) has warned that these are likely to continue for at least the next few days. – There were heavy rains yesterday (21st April) in the Kumamoto area. There are concerns that this may cause secondary disasters, including landslides and floods. – There are growing concerns over negative health impacts and sickness in emergency shelters, especially for the elderly and other vulnerable evacuees. Yahoo News reports that in addition to the 48 fatalities from the earthquakes, there have been 11 disaster-related fatalities in the post-disaster phase. – There are concerns that people sleeping in cars and in other cramped conditions are at risk of “Economy Class Syndrome” (Deep Vein Thrombosis). Efforts are underway to raise awareness of this and to encourage counter-measures, including doing regular exercise and stretching. – Emergency supplies are arriving from around the country, but are still slow to reach survivors in some parts. There are challenges in sorting through and distributing supplies due to overstretched resources and damaged infrastructure. A government official said that they are having to throw away some food supplies (e.g. bread/rice balls) which are passed their expiration dates. – Some survivors were saying that they are receiving mainly bread and rice balls. Self-Defense Forces, local volunteers, and residents are starting to make hot meals at shelters (e.g. curry, yakisoba). – Emergency baths are open in several shelters, operated by the Self-Defense Forces. – Some schools being used as shelters will be on break for the rest of the week, as they cannot continue classes in these conditions. Several schools are hoping to return to regular schedule next week, so that children can resume their studies. For my full report on the situation, please see the “Kumamoto Earthquake: Summary Document (21st April 2016)“.